Three 3.5 oz. bags of raisins, banana chips, papaya, pineapple, macadamias, almonds, walnuts in our re-sealable zip lock stand up pouch. 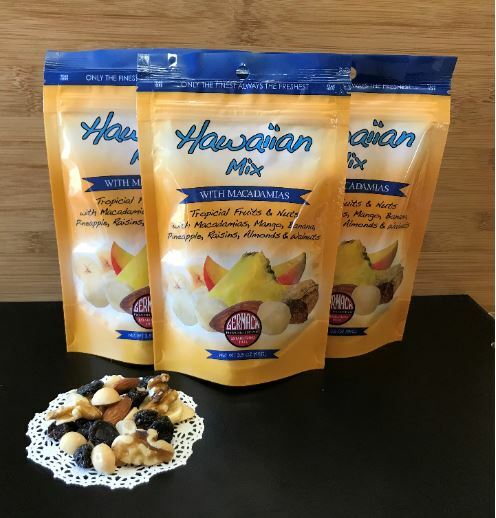 This snack mix is a favorite of macadamia nut and tropical fruit lovers. The combination of crunchy sweet flavors is a perfect way to satisfy your sweet tooth. Great for hiking, biking and traveling adventures.